A manipulative police crackdown on organized crime has ignited a tricky power struggle in the yakuza underworld. As the police force prepares a full-scale crackdown, anti-gang detective Kataoka wants to start a war between crime families for their mutual destruction. His war incendiary device is the rumored dead boss Otomo (Kitano) who seeks to retire from a life of crime, but can’t help but get drawn back into the battle. A manipulative police crackdown on organized crime has ignited a tricky power struggle in the yakuza underworld. Not 100% this fits, but it’s my favorite film trilogy so eff it. This is the highlight of the trilogy, too. Pretty standard yakuza fare. Gets an extra star for inventive use of a pitching machine. You have to watch the first "Outrage" before this one. 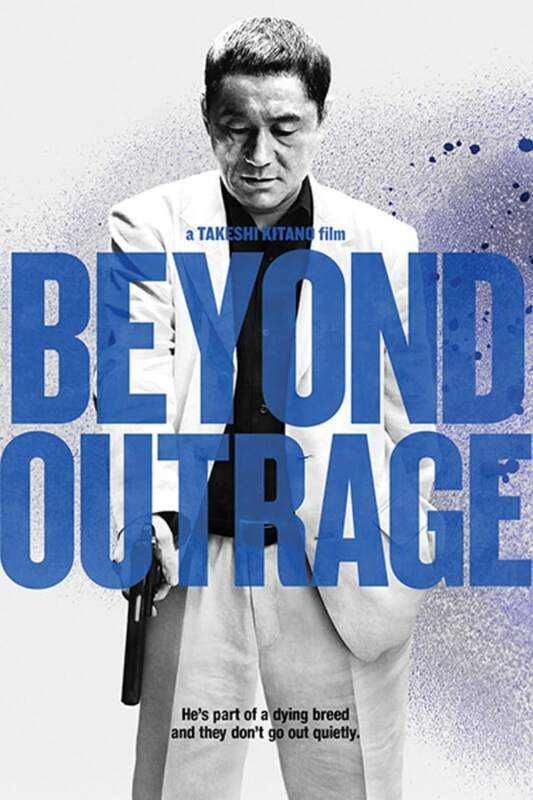 "Beyond Outrage" doesn't really work as a standalone. Great movies both, btw. This is a great movie, one of my favorites, but its the sequel to Outrage, and you really want to watch that one first.